Some world records are pretty ridiculous, like how many apples can be held in your mouth while they’re simultaneously cut by a chainsaw in one minute (the answer is 21 apples, it turns out), or how far you can walk while lifting a table with your teeth (38 feet and 8 inches). Even here at Game Informer, we’ve beaten several gaming-related Guinness World Records. Today in Stockholm, Sweden, Marvel and Sony wanted to celebrate the recent launch and success of Marvel’s Spider-Man on PS4, by breaking a Guinness World Record of their own. 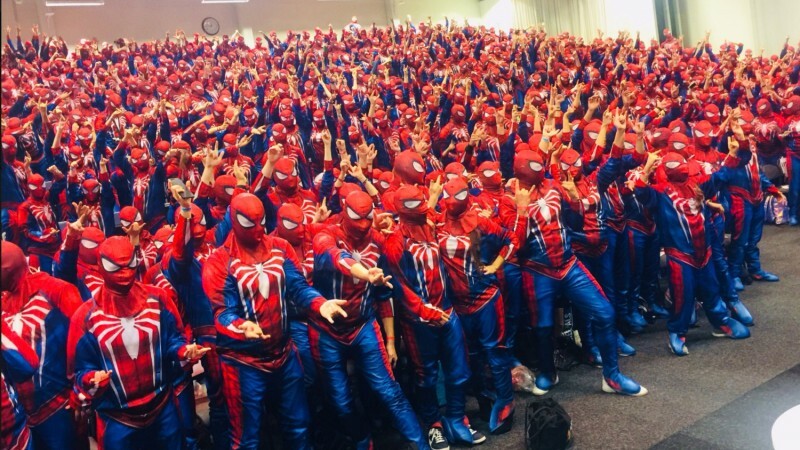 The two companies enlisted 547 people to dress up like Spider-Man (in the snazzy new Insomniac version of the suit) in one location. This occurred today during Stockholm’s Comic-Con. Marvel’s C.B. Cebulski tweeted about it before and after breaking the record. Check it out below! For more on Spider-Man, read our helpful tips to get you started, why Spider-Man’s quieter moments are its best, and our glowing review.